Today, I felt like a REAL urban working mom. I had to haul myself in between mommy duties and entrepreneur responsibilities. Today was Warren’s 3rd month doctor’s appointment. I had him dressed in an orange onesie and plaid shorts. 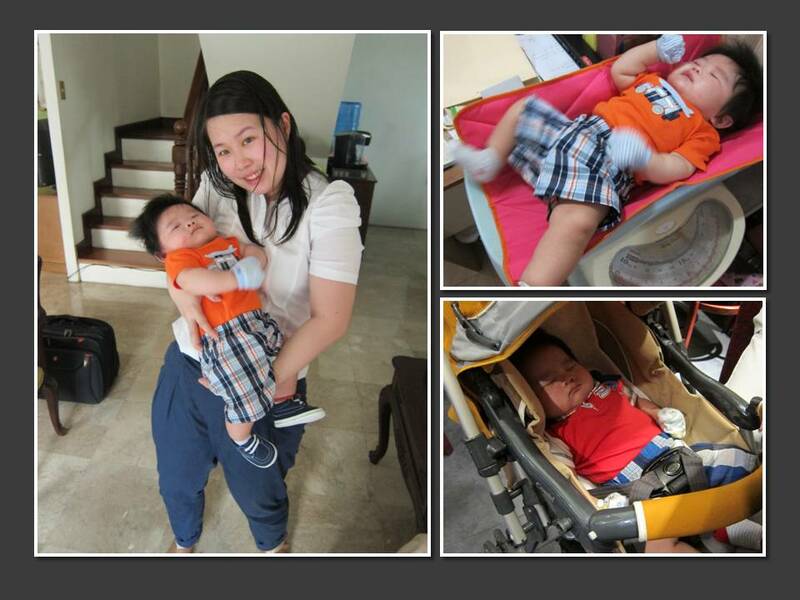 Unlike the last 2 months, he didn’t sleep at all on the way to the hospital. He must be enjoying and absorbing the view. We arrived at around 10AM and was seen right away. Finally saw a copy of the article that came out in The Mitre, Cardinal Santos’ magazine with Warren’s picture on it! 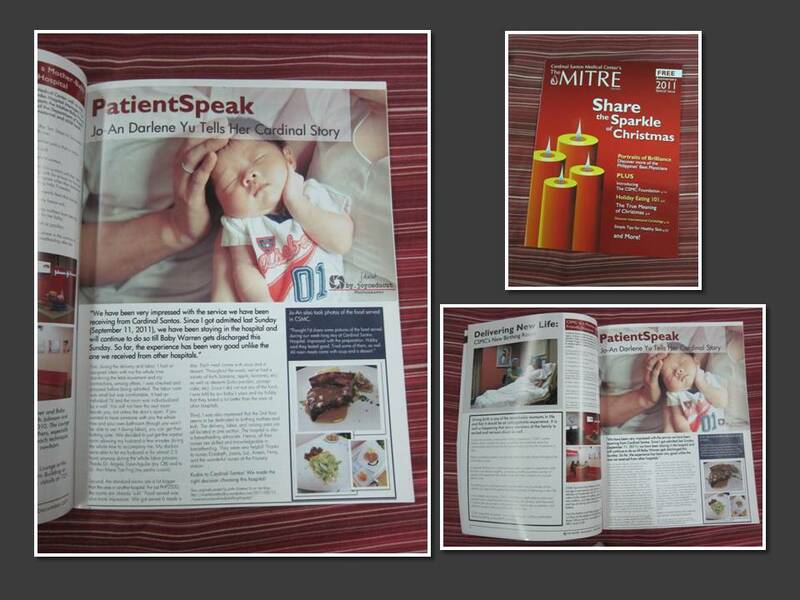 Here’s a copy of the article and the front cover. Grab your copy now! Its FREE! Since we were in the area, I wanted to surprise Guama whose office was just nearby. Guama was excitedly sharing the magazine feature with her staff and friends when we arrived. Warren hasn’t seen Guama for more than 2 months already since my grandma passed away. Good thing Warren was in a good mood! He was happily talking to my mom and smiling the whole time. Will update this post once I get a picture from Joanne. After dropping Warren off at the house, I went to the office to talk to my Souvenirlab staff and left an hour after for a meeting with a Prulife client. Traffic was horrible but managed to arrive at Meralco’s Liwanag Park before Hubby and Warren. Managed to take some pictures of the place. My expectations were kinda high so I was a bit disappointed. I thought there was a huge park with lights lit up. 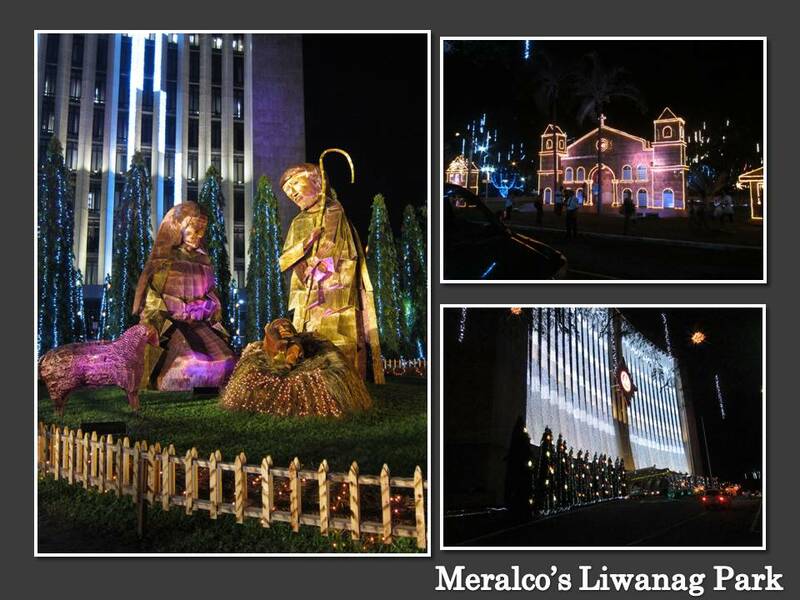 Turned out, there were only a few attractions – statues of the Nativity, an old train, lighted houses and the lighted Meralco theatre. Was expecting for the whole park to be lit up with dancing lights and all. The whole idea of bringing Warren to the park was that we noticed he was appreciating and smiling at lighted items already. Thought he’d like to see all the trees lit up. Unfortunately, the whole Liwanag Park thing was a FAIL. Warren was asleep and wouldn’t open his eyes. Must be the injections? Anyhow, we decided to just have dinner at Ajisen Ramen before heading home. He was still asleep for a few minutes while we were in the restaurant. Got a bit antsy and woke up 30minutes after. When we were about to finish dinner, he was already in a smiling mood. Drats! He didn’t get to see the lights at Liwanag Park. He was left to enjoying the lights at the North East square.